I am 39 years old (and holding). Some of my friends and family say there is no Fraser’s Ridge. I told them “If I see it on Outlander North Carolina, it’s so.” Please tell me the truth, is there a Fraser’s Ridge? Oh, dear Virginia! I am so glad you wrote to me before you slipped into disbelief. Dinna fash yourself! Your friends & family sound most pitiful and have most likely been affected by some sort of weird reality check disorder. They do not believe except what they see. They think that nothing can be which is not comprehensible by their little minds – minds which have not been exposed to Outlander, then Droughtlander, then Outlander, then Drou…. pardon me, I digress. All minds, Virginia, are not like the minds of those of us who have read the Outlander books and have watched the TV series. In this great universe of ours, man is a mere insect – which suddenly reminds me of Arch & Murdina Bug for some unknown reason. Let’s see, what was I saying? Oh yes! I think I was saying man is a bug but I have no idea why? Please disregard all of that! Yes, Virginia, there is a Fraser’s Ridge. It exists as certainly as Craig Na Dun, Castle Leoch and Lallybroch exist, and you know that they abound and give to your life its highest beauty and joy. Alas! how dreary would be the world if there were no Fraser’s Ridge. It would be as dreary as if there were no Virginia’s. As awful as if there were no Jamie and Claire. As dreadful as if there were no Young Ian, Rollo, Fergus and Marsali. As horrible as if there were no Roger or Brianna. As terrifying as if there were no Lizzie and the Beardsley twins, Stephen Bonnet or Tom & Malva Christie! No, there would be nothing to look forward to, nothing to re-read and re-watch! There would be no Facebook groups, no Twitter & Instagram feeds, no blog articles and no NSFW videos to make tolerable this existence. We should have no enjoyment, except in sense and sight. And although the sight of Jamie in that kilt could get us by for quite a while, in the end and at last, the light with which the Outlander fandom fills the world would be extinguished. Not believe in Fraser’s Ridge! You might as well not believe in Santa Claus! You might as well not believe in fairies or time travel! You might scout out the path to Fraser’s Ridge, but even if you don’t find the cabin, the Big House, Clarence, Adso and The White Sow, what would that prove? Nothing, Virginia dear! Nothing!!! Nobody sees Fraser’s Ridge, but that is no sign that there is no Fraser’s Ridge! (The Tooth Fairy & The Easter Bunny are other fine examples.) Geez, Virginia!! The most real things in the world are those we cannot see, you clotheid!!! Did you ever see druids dancing on a hill? Well, of course, you have and though others may not have seen them, that’s no proof that they are not there!!! How dare you even question such a thing?!?! Ahem. Please forgive me. I apologize, Virginia. I forgot my medication this morning and am somewhat irritable….in fact, where ARE my meds?!?! No Fraser’s Ridge! You are kidding me, right? Thank God! it exists and it exists forever! A thousand years from now, Virginia, nay, ten times ten thousand years from now, it will continue to make glad the heart of Outlander fans! So, there you have it, Virginia! Now, go tell your daffy friends and family to get a grip because you saw it on Outlander North Carolina and, Virginia … Merry Christmas! Dr. I. Fash Yeken, Ph.D. I loved this article which made me smile and chuckle all the way through. Yes, I am a fan and addict of Outlander, have all the books, even read them once a year. Tried to form a local fan club in my town in SW Ontario, but no one showed. But since I happened to find you, horray, someone to share my obsession with. Keep up the great work. Looking forward to what you will write next. Thank you, Pat! There are so many of us Outlander addicts out there, I thought this letter might strike a funny chord. You are not alone in your obsession and I’m so glad you have found me! When you have time can you approve me joining your facebook page, please . I did fill out a form since I see it is a closed group. I would enjoy sharing comments and ideas. I did send you a comment about Claire and her life with Frank. Funny how she could be herself and be respected so much more in the past. Thanks for providing us a forum during droughtlander to help us pass the time til season 4. Hi Beth, someone appoved me since I can open the facebook page where before it showed as closed group. but will do it again. I SENT YOU ANANIMATED SCOTTISH NEW YEARS CARD WITH BAGPIPES PLAYING. sorry not shouting – cap lock got stuck. Hi Linda- I live near Sarnia. Where are you? I tried to form a local fan club where I live. I put posters at the library and both grocery stores and listed it with 4 local newspapers under coming events. Thought it would be fun to meet especially during Droughtlander but no one came or e-mailed me. What a shame. 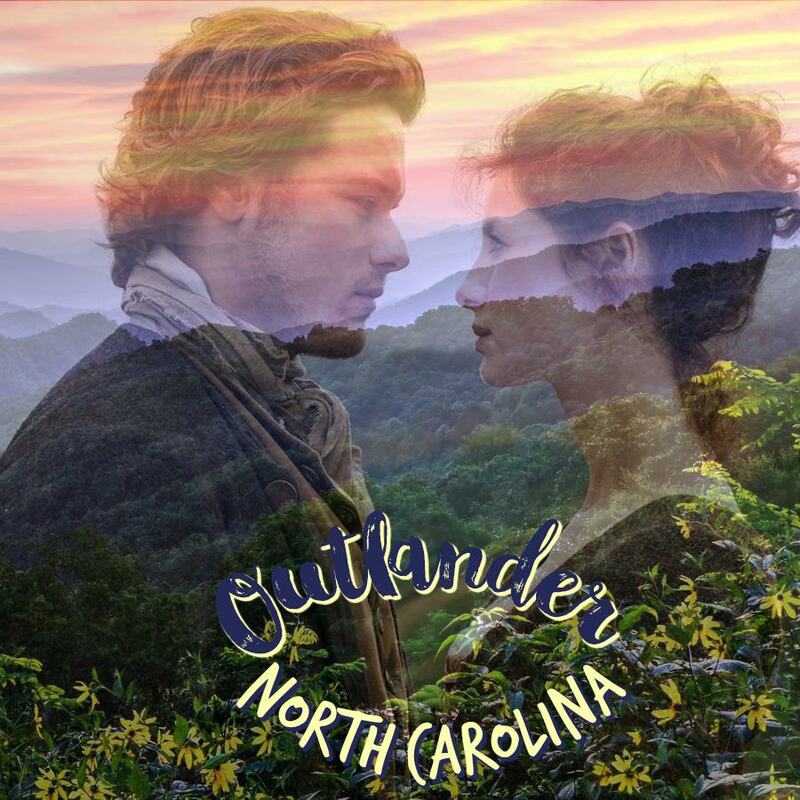 But thankfully, I found Outlander North Carolina to share ideas and talk about our love for this series.